A few weeks ago I ventured south from the Inner West to explore Botany Bay, the site of Captain Cook’s first landing in Terra Australis in April of 1770. 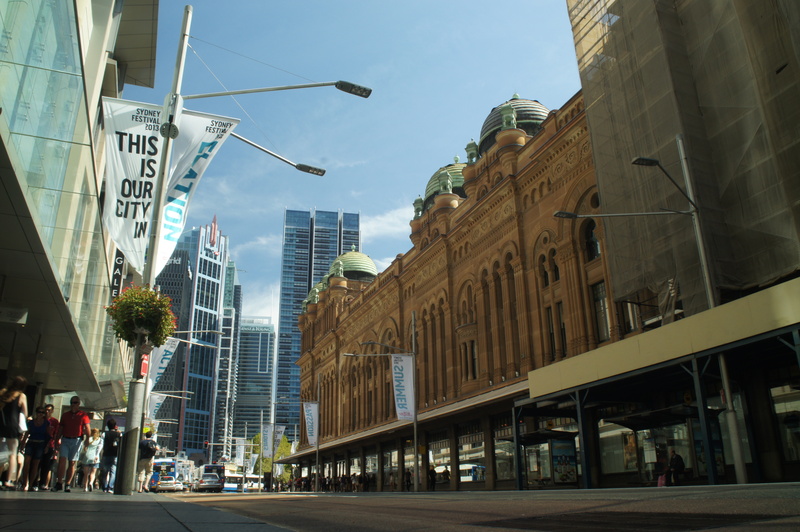 This past weekend, the experience of Australian history took me only 9 kilometers from my house. 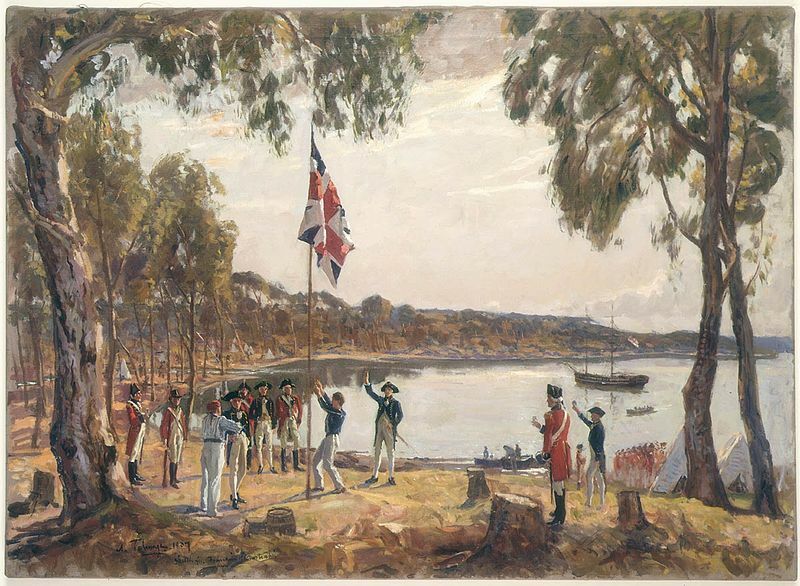 Eighteen years after Captain Cook’s landing the first wave of convict ships landed just north of Botany Bay in a place known today as Sydney Harbour. This was the famous “First Fleet” which is the object of celebration each and every January 26th; Australia Day. 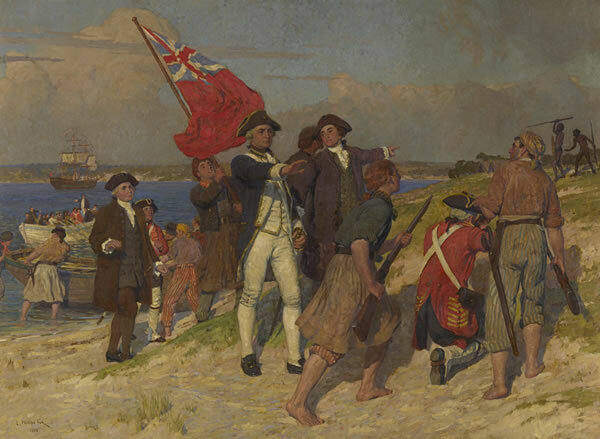 Being at the site of the First Fleet’s landing on Australia Day proved to be well worth it. With tall contemporary buildings, a beautiful modern look, and that “big-city” hustle and bustle it’s easy to forget Sydney’s humble and not-too-distant roots. After the revolution leading to independence for the British colonies of North America ended in 1782, Britain was in need of a new jail. On January 26, 1788 the rowdy, raucous First Fleet skidded to a halt in one of the most beautiful and useful natural harbors in the world. With Sydney being a rather small large city, there are plenty of opportunities for a collective experience on certain occasions. National holidays create the perfect setting for nearly the whole city to gather (compare for example the whole city of LA attempting to gather for any given event…what could possibly gather that large and diverse metropolis? There isn’t even a unified baseball team for the whole city). The Australia Day festivities extended throughout the city with eruptions of music, color and a 21 gun salute shot from military ships in the harbor. The finale of the day, of course, ended in fireworks (no, the 4th of July doesn’t own that idea) set to a composition of music cleverly blending styles that represented the rich ethnic diversity of Sydney. In general, I was impressed by the interactivity of the holiday. With a color-run, festival rides in Hyde Park, hands-on-exploration stations for kids, and enough flash cars to make James Bond jealous, Sydney really took Australia Day to the next level. With these ways of celebrating, the differences between the national stories of Australia and the US were obvious to see. Ideas such as ingenuity and the pursuit of the good life were emphasized over the values I’m used to hearing at national holiday celebrations such as military power, national greatness and the evangelism of democracy. One thing is for certain, Australians really know how to holiday. 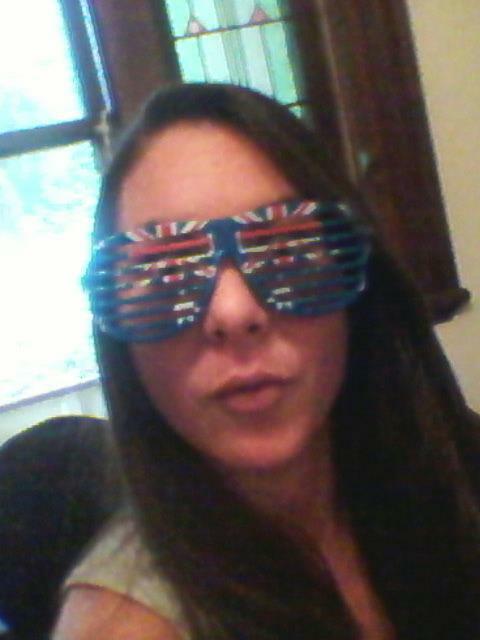 Even the resident Kiwi got excited about Australia Day! I suppose there are worse jobs to have in the world than to be the ASC intern. Yesterday my mission was to find the absolute best spot to get a sunset timelapse of the Sydney skyline. I ended up shooting gigabytes of fantastic footage all day (but still failed to get that “money shot”). As I hopped on the 505 bus heading to a place called Woolwich, I noticed that the bus driver smiled wider and more sheepishly than usual. Maybe it was just another good day here in paradise? As the bus curved down the Gladesville Bridge I heard an older woman in the front seat beginning to jabber on, almost yelling. Not uncommon on public transit. Then I realized she was yelling at the bus driver. After a few more seconds it became clear that she was telling the bus driver where to go. What?! How do you tell a Sydney bus driver how to get around in Sydney? Then, I realized she and the bus driver were in conversation. He was taking direction from her. It was his first time driving a Sydney Bus on his own. Perception is a funny thing. The woman at the front of the bus went from a possible crazy to a helpful citizen going above and beyond to help someone (and the other someone’s depending on him for a ride home). She politely and patiently navigated the bus through the twisted streets of Sydney’s Inner West. When the woman got off at her stop an elderly man from the seat in front of me got up, assumed the woman’s post in the front seat next to the driver, and without flinching proceeded to direct the bus on to its final destination. It was a small moment, yet worth noting. Not once did either of these people complain about their bad luck of having picked the directionally challenged driver. They just jumped right in and steered the bus home. Like Speed (1994) without the suspense. So I guess it really was another good day in paradise.